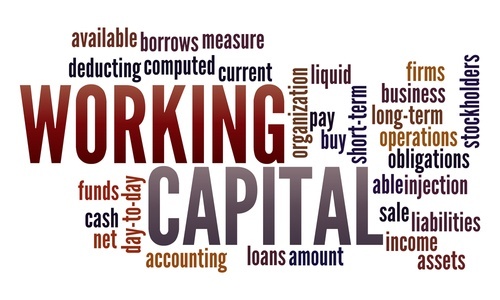 How well do you understand the concept and significance of working capital? A surprising number of small business leaders aren’t necessarily conversant with the term, though they follow its principle every day of their working lives. But it’s important to have a fundamental grasp of what working capital means and a strategy for promoting its availability as a way to keep your business growing and thriving. Experts agree that business assets should always exceed business liabilities. To ensure that working capital is available, business owners must take steps that ensure a company’s stability. Switch up terms for accounts receivable and accounts payable. Take a firmer line against expenses. Like any good business owner, you probably pay close attention to major business expenditures, carefully weighing pros and cons before making a key purchase or investment. But when small expenses that crop up on a daily basis accumulate, your working capital can take a major hit. Take, for example, costs associated with travel and entertainment. “Setting clearly understood rules” for spending in these areas can make a big difference. In the same respect, providing corporate credit cards to employees “will allow management to view expenses in depth and quickly take remedial action” when rules aren’t being followed. Get rid of assets you’re not using. Is there a major piece of equipment taking up space in your office that no one uses anymore? Do you rent out more office space than your current workforce requires? These are examples of business assets that might be eliminated (or, in the case of office space, leased out) in order to boost working capital. Take a critical and objective look at everything your business considers assets and see what can be reduced or gotten rid of altogether. Renegotiate terms with your loyal vendors. Over the years, businesses establish strong relationships with trusted vendors. You may have contracts with suppliers that have remained unchanged over many years. If you consistently pay your invoices on time and in full, these vendors may be open to changes in payment schedules that free up more working capital on your end. For example, “if you receive a big order that you can fulfill, ship out and collect in 60 days, you could obtain 60-day terms from your supplier if 30-day terms are normally given.” That might be a genuinely effective solution if you find your business strapped for cash at the precise moment when working capital is most needed.